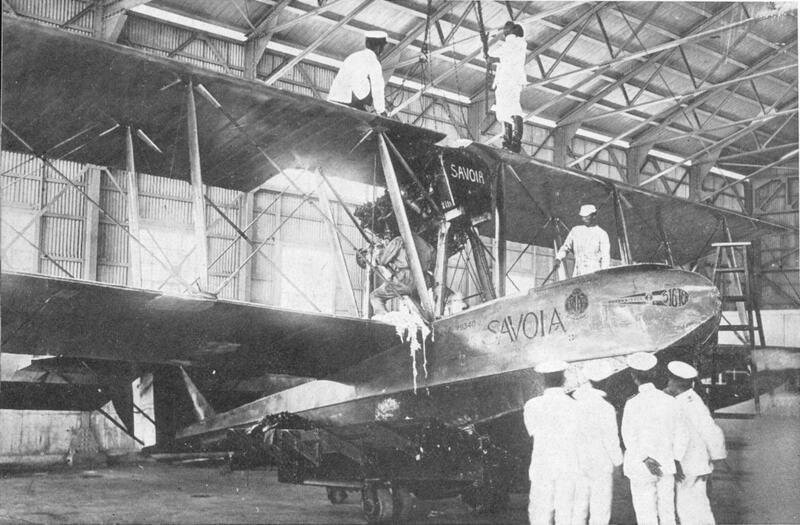 HF: Added information “Another adventurer was the Neapolitan aviator, Francesco de Pinedo (1890-1933) who, in 1925, landed his Savioa S-16ter two-seater hydroplane (nicknamed Gennariello) in Hong Kong harbour.|Engineer Ernesto Campanelli from Oristano was his co-pilot. 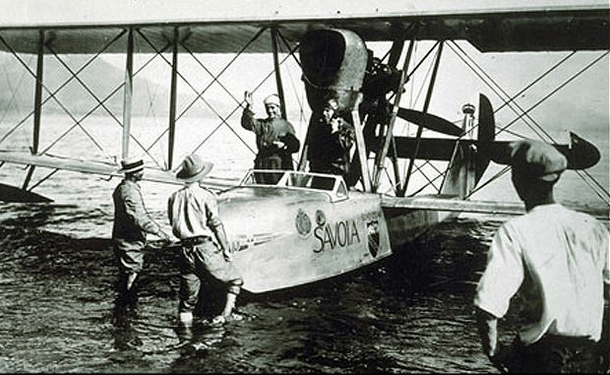 After Hong Kong they flew on to Shanghai, Japan and Australia before returning to Rome landing on the Tiber River. This photo is suppose to be of the Gennariello. Is it? The source provides no further information. And is this Hong Kong harbour? That could be the Peak rising in the background on the left. But what is the hill/island on the right behind the plane’s tail? De Pinedo was killed when his Bellanca monoplane crashed on takeoff at Floyd Bennett Field in New York City on September 2, 1933, as he began a flight to Baghdad in an attempt to set a new nonstop solo distance flight record of 6,300 miles (10,143 km). This article was first published on 11th March 2015. ‘Chic Eather’s’ website – Early balloon/plane flights in HK, Kai Tak and much more!